CBD E-liquids | The most effective and healthy way to consume (CBD). Read here what it is, why and how you can best use the CBD E-liquids. 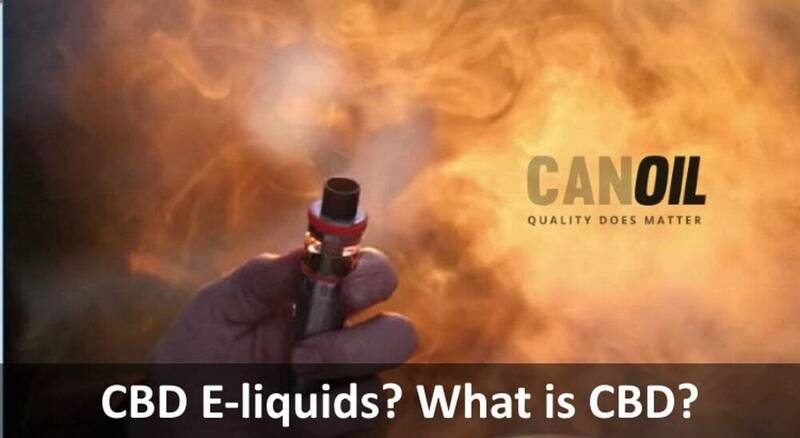 CBD E-liquids is a collective term for liquids that you can vaporize and inhale with an e-cigarette, so that CBD is directly absorbed into your body via the lungs. An e-cigarette is an abbreviation of an electronic cigarette and converts a liquid (e-liquid) into vapour that you can inhale. The e-cigarette was invented as an alternative for smokers who want to inhale the nicotine, but don't want to inhale smoke, ashes and other toxic substances that you get when you smoke a regular cigarette. A standard cigarette contains as many as 40 harmful substances, while an e-cigarette does not contain any harmful substances unless you use an e-liquid with nicotine. Nicotine is harmful, but it is still better to smoke electrically than to simply smoke. An e-cigarette is slightly larger and heavier than an ordinary cigarette, but it is better, unscented and cheaper than smoking ordinary cigarettes. What are the benefits of CBD E-liquids? The use of CBD E-liquids has many advantages. CBD is a safe substance that is used by many people to reduce vomiting reflexes, convulsions, sleeping problems, skin disorders and all kinds of other conditions. CBD is not psychoactive and it doesn't make you high. Becoming high from Cannabis or Wiet discourages many patients, but this is illegal in the Netherlands. CBD does not contain THC and does not work psychoactively and is legal in the Netherlands. By vaporizing CBD with an e-cigarette has the advantage of directly benefiting from the beneficial effects of CBD. So you don't have to smoke a cigarette, but you can use it with an e-cigarette without the harmful substances of an ordinary cigarette. What substances are contained in a CBD E-liquid? A CBD E-liquid consists of PG (propylene glycol) and vegetable glycerin (VG) to which several other ingredients have been added, such as flavourings and CBD. Propylene glycol (PG) is widely used in foodstuffs, creams and pills. A very small number of people may be allergic to this substance, it may cause rough or dry facial skin or it may cause small red spots on the body. Most people who use PG already know this because it is used in many everyday products such as whipped cream syringes, soft drinks and cosmetic products. Glycerine (VG) is a clear, unscented, slightly sweet liquid which, when heated, forms a vapour suitable for breathing and inhales other ingredients. Glycerine (VG) is also often used in steam engines at events and has been used for many years as a substitute for alcohol in tinctures and in herbal extracts. Tastes are only used to make inhalation more pleasant. We offer our CBD E-liquids in the following flavours: Classic, Fruit Mix, Mint, Mango and Strawberry. 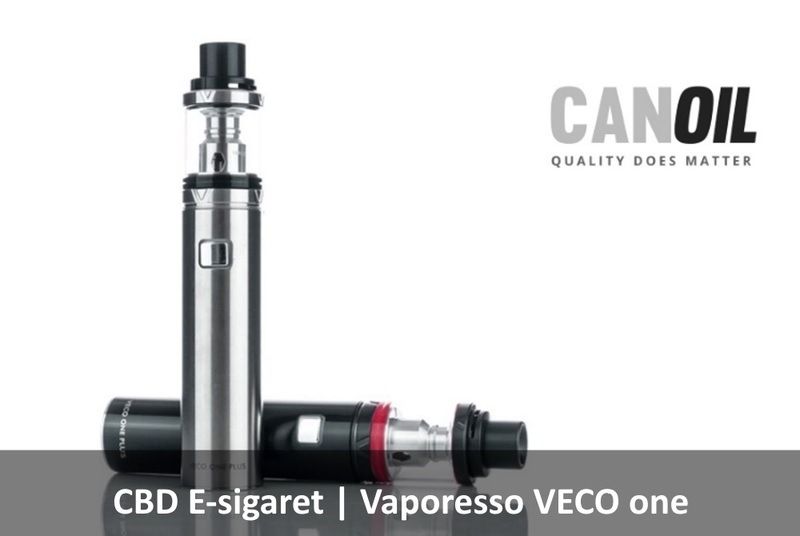 CanOil also offers a tasteless CBD E-liquid that you can easily use as an extra addition to your existing e-liquid. For example, you can immediately benefit from the advantages of CBD if you already have E-liquids with a specific taste or nicotine. Is there nicotine in CBD E-liquids? 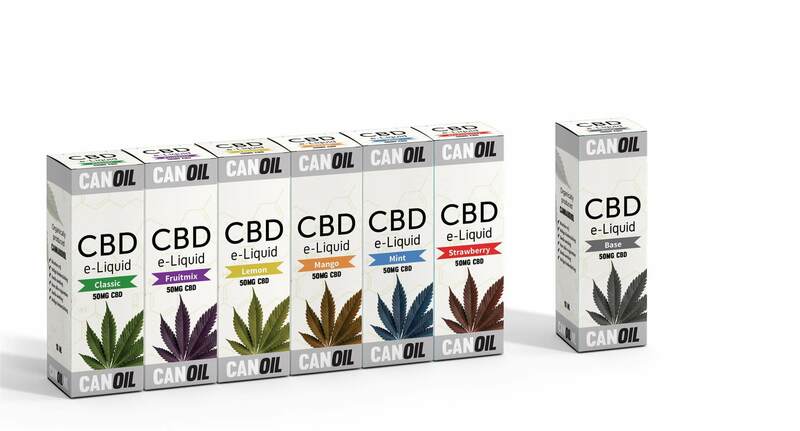 There is no nicotine in CanOil CBD E-liquids! The use of our CBD E-liquids are not bad for your body. We do offer a flavourless CBD E-liquid for people who want to add CBD to their existing E-liquid that does contain nicotine. If you don't smoke tobacco yet, it's obviously not a good idea to start inhaling E-liquids that contain nicotine, because then you'll develop one of the most pointless addictions of modern times. But if you are already addicted to tobacco, switching to e-cigarettes with a nicotine-containing E-liquid has at least the advantage that you don't get tar and chemicals out of the smoke anymore. And maybe you'll even quit nicotine a little easier. The best method to use CBD E-liquids. The first scientific publication on vaporization ('Method of cannabidiol intake (CBD)') was written by researchers from the Australian University of Wollongong and published in October 2014. This report described that "Oral cannabinoids ingested result in slow and unpredictable absorption with limited and highly variable biological uptake levels. Smoking and intravenous administration are associated with toxic risks and loss of active substances through combustion, or are invasive. By evaporating and inhaling CBD by means of an e-cigarette with a CBD liquid (E-liquid), an effective method of administration is proven, because it has a quick effect and a high level of systemic absorption. Evaporating cannabinoids is a safe method of intrapulmonary administration because it does not know the risks associated with smoking and because pyrolytic toxic substances are not formed, as is the case with combustion. Simply put, swallowing drops of CBD gives unpredictable results. Injection is dangerous. Evaporating with an e-cigarette with CBD is the best option and seems to be becoming the way to administer cannabinoids on medical grounds. We are a Dutch company that makes CBD E-liquids on Dutch soil. With us you are assured of the best quality CBD with the best flavors. We are also ISO 9001 certified, so you can be sure that all our products meet the Dutch standards. We advise you not to buy foreign CBD E-liquids e.g. from China because you are never sure what components are used to produce CBD.